The Government has published its “Response to proposals for reform of civil litigation funding and costs in England and Wales”. 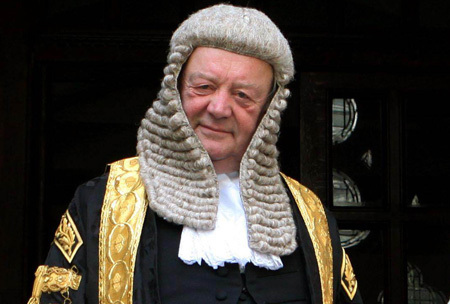 It has decided to implement the reforms to no win no fee conditional fee agreements (CFAs), proposed as a package of measures by Lord Justice Jackson. Under these proposals “success fees” and “After the Event” (ATE) insurance premiums will no longer be recoverable from the other party to litigation. Instead, any success fee will be paid by the CFA funded party. the maximum success fee will remain 100% – this will be paid from the damages recovered and, in defamation and privacy cases there will be no “cap” – in other words, lawyers will be able to take all the damages to cover the “success fee”. “Damages based” agrees (DBAs or “contingency fees”) will be available in all categories of case. This appears to be complete success for the media in their campaign against the current regime for defamation and privacy CFAs. Unsuccessful media defendants will no longer be required to pay either success fees or ATE premiums. Successful media defendants will be entitled to seek all their costs against claimants. A “chill” on freedom of speech will be removed. The cost in terms of access to justice remains to be assessed. The consultation appears to have rejected the suggestion made by a number of consultees that success fees should continue to be recoverable by defendants – as these obviously cannot be recovered from damages. For example, in its response to the consultation, media law firm Carter-Ruck raised this point, drawing attention to the fact represented scientist Professor Henrik Thomsen and journalist Hardeep Singh on defendant CFAs. The issue is not discussed in the Government’s Response to the Consultation – defendant CFAs appear simply to have been treated in the same way as those available to claimants. On Question 7, whether the maximum success fee should remain at 100%, there were 496 responses with 338 (68%) agreeing that the maximum success fee should remain at 100%. The MoJ noted that “Many of the 158 (32%) who answered ‘no’ were on the defendant side of the debate, such as general liability insurers, the media and local authorities”. The same number answered Question 11 – on the recoverability of ATE premiums – with 341 (69%) favouring continued recoverability. Once again, all the general liability insurers, media and local authorities were against recoverability.